Subhash Chandra touts his plans to disassemble Zee Telefilms Ltd (ZTL) into four separate entities as a necessary move to unlock value. As he stands on the eve of the digital age, he feels he can size up each line of his media business spreading across cable TV, direct-to-home (DTH), content and broadcasting with independent focus and management care. What this means is that the core ZTL, after the trimming, would have all the network channels except in the news and regional genres which raked in Rs 2.01 for the 2005-06 fiscal. Operating revenues of Rs 1.54 billion from cable TV would also be transferred out, further eroding the company‘s consolidated turnover. Even after cropping the topline, there is a mandate for robust growth. Riding on the wave of Zee Cinema and a resurgent Zee TV, the company expects to clock a 10 per cent rise from last year‘s turnover of Rs 10.51 billion. Says Essel Group CEO of corporate strategy and finance Rajiv Garg, "We expect an advertising revenue growth of 12-15 per cent this fiscal. While international business will sustain its 10-12 per cent growth (adding of channels and gain from Middle East operations), domestic subscription will stay steady." Zee‘s road to recovery came last year as the flagship Hindi general entertainment channel bounced back big time on the ratings scale with simple storyline soaps like Saat Phere and Kasamh Se. Zee TV smelt the first scent of success since its continuous slide for over six years, with Sa Re Ga Ma Pe Challenge, a singing talent show. "It is not that we came out with any magic potion in programming. We just stuck to the basic rules. What made the difference this time is that we jelled as a team and came out with a winning mindset. The external environment also played a role as Sony lost audiences and Star Plus was still lighted up by the three long-running flagship soaps," says Zee Network senior vice president Ashish Kaul, explaining the turnaround story. Zee‘s resurrection was born out of a long sequence of internal discussions and, in a reshuffle, Chandra‘s elder son Punit Goenka was made business head of Zee TV. In an interview with Indiantelevision.com, Goenka had then said that his induction would bring stability to the channel. "You can expect one change. We want a planned execution of what we do. We won‘t resort to any knee-jerk reactions… Here, internal palpitations happen whenever crucial projects come up. There have been instances when we started a project and left it midway… It is more like using someone who can handle pressure and bring in stability. I consider myself as one of the Zee professionals, not as a family hand. But, being a family man, I think I can bring in stability." The duo of ZTL CEO Pradeep Guha and Goenka clicked and the strategy to build an entire programming wall with focus on a time band approach was chalked out. Programmes were jazzed up and a marketing buzz was created around them. The investments on Zee TV‘s content and marketing rose almost 20 per cent to Rs 2.2 billion in FY06. "There is usually a lag of 4-6 months between improvement in TRPs and ad revenue growth. So with an improvement in ratings, we are predicting a recovery in ad revenues going ahead this year with a return in pricing power," says an analyst. Meanwhile, Zee Cinema, ZTL‘s second major revenue earner, continued as the numero uno in its space and posted an almost 20 per cent rise in turnover to end FY06 with Rs 1.45 billion in earnings. The channel banked on Amitabh Bachchan‘s films and a mix of new and old movies to fend off competition from Max and a revamped Star Gold. The change was reflected in the financial health of the company. Facing rough weather, Zee had reported a CAGR (compounded annual growth rate) of 7 per cent in revenues for the period FY02-05. This was contributed by a 28 per cent CAGR in subscription revenues and an annual decline of 8 per cent in ad revenues. The picture changed last fiscal and Zee posted a 13 per cent ad revenue growth, fueled by the ratings ramp up. International revenues, which account for one-fourth of Zee‘s earnings, will continue its good run, though operations from UK and US have matured. The Middle East and South Eastern region would ride on a growth wave and Zee is also planning to launch a dubbed movie channel in Russia. The worry, though, is the losses from new businesses which remain large at Rs 1.65 billion. But Zee Telugu, which suffered a loss of Rs 460 million last fiscal, now forms a part of Zee News Ltd. Operational expenses will continue to rise as several businesses will be in investment mode. The positioning of Zee Smile, a humour-based light entertainment channel, will be up for change. "We are considering whether we should turn it into a flanking second general entertainment channel or design it as a full fledged comedy channel. We have not taken any decision yet," says Kaul. Zee is also planning to beef up content on its English channels, particularly Zee Cafe which would get a facelift. Some analysts have projected a high growth for the whole of Zee. "We model ad revenues to grow to Rs 8.24 billion in FY07, compared to Rs 6.44 billion in FY06 as the non ICC cricket matches pick up. We model subscription revenues to grow to Rs 13.1 billion in FY11 from Rs 7 billion in FY06. The bulk of our expected growth comes from domestic pay TV revenues which we model to grow to Rs 6.45 billion against Rs 2.95 billion in FY06," writes an analyst in a research report. Several analysts, however, play these figures down, saying a lot will depend on how Zee shapes up its content businesses against intense competitive pressure. But what will the demerged ZTL look like? "The topline would be lower than what one would see today but bottomline would be healthier," Chandra said in a recent interview to a business news channel. Zee‘s stock price has almost doubled in the last one year and is currently trading at Rs 260. The sum-of-the-parts value is what is driving the scrip up. It will further balloon when the demerger implementation is closer to date," an analyst at a brokering firm says. So what are the potential downsides? There is of course Zee Sports, by virtue of its being a start-up proposition at the present. We do feel though that the new sports channel kid in the Zee family feel has the potential to contribute to ZTL‘s topline growth. Zee Sports is ready to play the high-cost game of sports broadcasting. After losing the four-year India cricket telecast rights to Harish Thawani-promoted Nimbus Communications, Chandra bowled just about everybody with his googly: a whopping $219.15 million bid to grab cricket rights for 25 one-dayers played by India in offshore non-ICC venues over five years. Even Thawani‘s humungous $612 million bid for BCCI (Board of Control for Cricket in India) cricket in India pales in comparison. With 115 days of Test cricket and 54-56 ODIs for four years, Thawani‘s payout for each match works out to around $3.57 million against Chandra‘s $8.77 million. Analysts are not enthused by such a high-cost bid. "We do not expect Zee to be able to recover its costs unless there is substantial rub-off effect on its distribution business. The positive aspect is that costs are back-ended, which will mitigate cash flow and balance sheet risks partially and allow Zee sufficient time to scale up its distribution business. The pace of adoption of addressability in India remains the key to Zee‘s future earnings and valuations," an analyst at an institutional equity firm writes in a research report. For the first two ODIs in Abu Dhabi between India and arch rival Pakistan, Zee Sports suffered a loss. On a paying price of $10 million (Rs 450 million), sources say gross revenues from India stood at Rs 240 million (Rs 130 million on Doordarshan and Rs 110 million on Zee Sports channel). If you cut out a 15 per cent commission as media agency fee and a 25 per cent revenue share to DD (Rs 27.6 million), Zee‘s trimmed earnings would be Rs 176.4 million. Zee Sports business head Himanshu Mody does not agree that the offshore properties are a big hole in the company‘s pocket. The commercial exploitation from overseas markets fetched as much as was generated from ad revenues in India, he says. "Incremental subscription revenues from Zee TV‘s global channels, ad sales and earnings from content syndication were healthy. 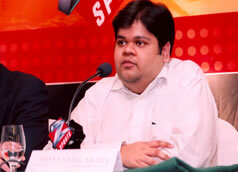 Besides, it increased the reach and visibility of Zee Sports in India." Chandra is optimistic about his big bet on cricket. "We got only four days to sell the two ODIs and incurred a small loss of Rs 20-30 million. We have a staggered payment schedule which increases towards the end of the five-year period. We believe we will make money on this because of broadband and pay-per-view opportunities which are emerging. This will establish Zee Sports as a channel and boost our international subscription and domestic growth," he told analysts. Chandra also believes he is paying only for the ODIs which are high-value properties. Besides, these are all India matches and will involve strong teams including Pakistan, Australia and England. Still, there is no getting away from the fact that Zee‘s cricket gamble needs to be backed up with good properties. Chandra will get just five matches on an average every year (the final calendar of matches hasn‘t yet been finalized), which is a spread too thin for any sports channel to command distribution clout and revenues. "A sports channel needs at least a long drawn cricket series to ramp up its subscription revenues," says the distribution head of a leading network." Having paid dearly for these spike properties, Chandra will have to build up a breadth of live mass-watched programming which will have a longer enduring value. If he is not able to manage a stream of supply that is more widespread, the property that he has acquired will lack bite and value. The youngest channel in the Zee bouquet will have to be fed with more days of live cricket or bankable international football. Even if Chandra loosens his purse strings, where is the cricket or football of value available to fill up the plate? Some options will open up for Zee like the Octagen-CSI cricket telecast rights (with ESPN Star Sports now) and the Pakistan and Sri Lanka domestic cricket (with Ten Sports), but the content will not be available before 2008. Even the ICC World Cup will be up for grabs after SET India‘s rights expire in with the 2007 World Cup in the West Indies. So, what does Zee do till 2008? The challenge is to develop Zee Sports as a platform for second-tier sports like football and wait till it can snap up bigger properties. Having acquired 10-year rights to AIFF (All India Football Federation) football, the task is to build this as a long term property. 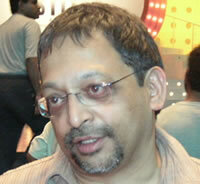 Zee Sports will focus on cricket, football and tennis, says Mody. "We hope to reap profits from football where our cost will be up by 5-7 per cent year-on-year while revenues can leapfrog. We have also got Mumbai and Delhi marathons as long term properties." Working on collaboration with other sports channels is also a route Mody is going to push for. "Competition has to be more collaborative as acquisition prices of sporting events shoot up. The French Open is an example of how this can be achieved with Ten Sports allowing us to telecast the event as they had cricket on their channel," he says. Zee Sports is at an incubation stage and will require long term investments for the development of the channel. For the fiscal ended March 2006, Zee Sports posted a loss of Rs 600 million. "Obviously, in the initial period there will be losses. We are not going to stop at the 25 ODIs. We will bid for the World Cup and the other boards as well. Sports as a business would grow for us," Chandra told analysts. The decision to bring Zee Sports under the ZTL umbrella was something Chandra had not originally planned for. "We had created it as a separate entity because we were thinking of bringing a strategic partner in the business. But some developments took place and we decided it should become a division of ZTL," he replied to analysts. The losses of Zee Sports, in fact, had a beneficial impact on ZTL‘s bottomline in FY06 as it acted as a tax shield. "It had a positive impact. Our tax liability has been reduced by at least Rs 180-200 million," Chandra admitted. But by kicking in losses for a longer period, will Zee Sports be a drag on the profitability of ZTL? Making calculations based on the existing properties, Mody believes Zee Sports‘ losses would reduce this fiscal and the entity would be profitable by FY08. "We realise sports broadcasting is a long term play. As it was the only genre where Zee was not present in, we launched it with the idea of now or never. But we are in a special position by being part of a larger bouquet for both distribution and ad sales revenue exploitation. Since we also have a large global presence, we can also leverage it better," he says. Zee Sports will spruce up ZTL‘s topline which has under its umbrella channels like Zee TV, Zee Cinema, Zee Café, Zee Studio and Zee Sports. Among all the horses within ZTL, it is Zee Sports which, as a startup, can provide faster growth for the company if properly incubated. Perhaps, it is with this logic that Chandra is putting big money behind the sports channel. Perhaps, it is also the ego of a media baron who wants to prove that he can win in sports broadcasting (after being deprived of ICC World Cup and BCCI cricket despite bidding higher on both the occasions) as well. Or is it a mix of both? Whatever it is, Chandra will have his task cut out for him to make money from a bid that, at the surface, seems ridiculously so high that it made Sony stay out and ESPN Star Sports come out with an offer lower than the floor price of $5 million per match. But it is exactly this quality which separates Chandra from the other Indian media entrepreneurs. Where others see risk, he sees an opportunity to make money.